Enjoy your favorite beverage in this Plastic Bloody Wine Glass. 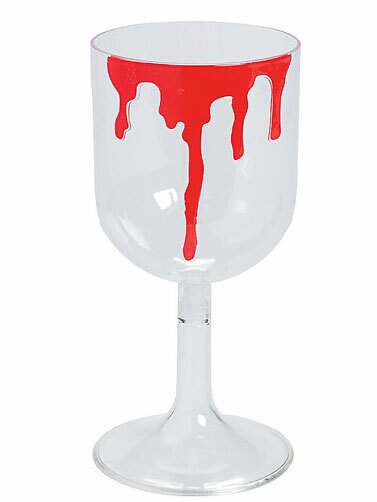 This bloody Halloween drinkware is sure to turn a few heads when you take a sip. Clear plastic wine glass with bloody print on the rim. Coordinate with other bloody tableware and decorations for a complete Halloween party theme. Bloody plastic Wine Glass measures 7"H and holds 14 oz. 1 pc.